We’ve found eight ways to ensure that your senior cat is living in an environment that’s safe for him as he ages. Plus, when to worry — or not — about your aging cat. When your cat was still a young kitten, you probably took steps to “kitten-proof” your home, such as moving household cleaners where she couldn’t access them and keeping sewing supplies in a safe place. 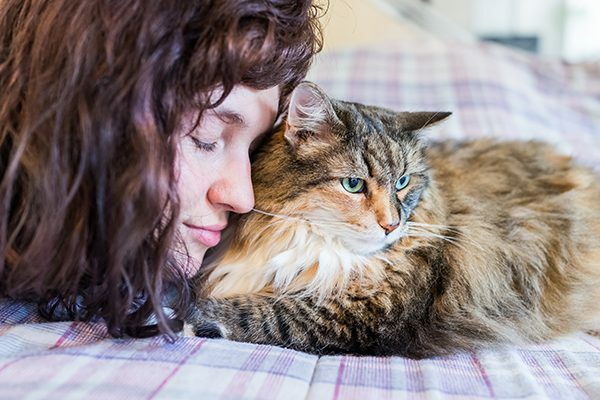 You need to revisit some of the areas around your home to make sure they are safe — and comfortable — for your senior cat. 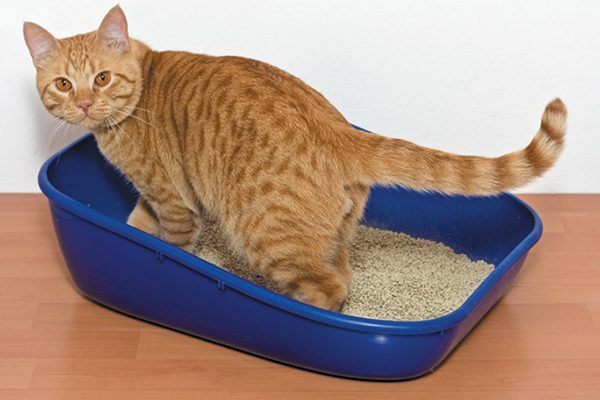 Look for ways to make the litter box more accessible for your senior cat. Photography ©minoandriani | Getty Images. As your cat ages, she might develop arthritis or other joint issues that make it harder to jump and climb. In addition, a senior cat might also have less control over her bladder and bowels. Considering that combination — stiff joints and litter box urgency — look for ways to make the litter box more accessible. For example, if you have a two-story house, place a litter box on each floor. “Older cats should have easy access to food, water and litter boxes, so if they choose not to climb stairs they don’t have to,” says Emily Levine, DVM, DACVB, the director of Behavioral Services at the Animal Behavior Clinic of Animal Emergency and Referral Associates in Fairfield, New Jersey. Don’t worry: Though stiff joints may make her move a little slower, your senior cat will likely keep up with her good litter box habits. Make things easier for her by purchasing a box with lower sides, so it doesn’t take as much effort to get in and out. Be concerned: If your senior cat starts consistently missing the litter box, she might have a medical issue. Take her to the vet for a thorough exam as soon as possible. Make it easier for your senior cat to climb up to her favorite spots. Photography ©krblokhin | Thinkstock. 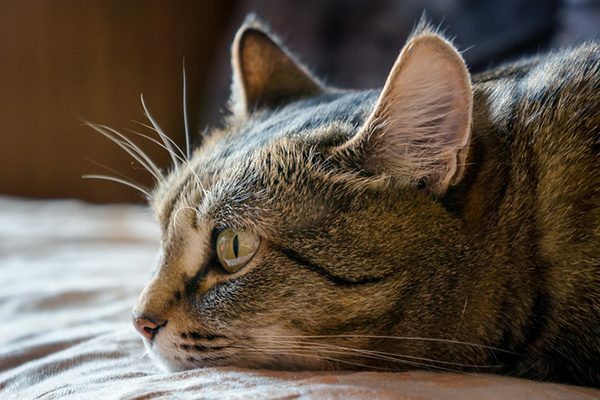 Stiff joints can also make it more difficult for your senior cat to reach her favorite resting places, such as a warm windowsill or the top spot on the cat tree. That doesn’t make those spots less desirable — just more of a challenge to reach. To help prevent her slipping or otherwise hurting herself when she tries to access these spots, find ways to make it easier for her to get to them. Help her reach the windowsill by placing a chair or stool underneath it or by purchasing specially made pet stairs. 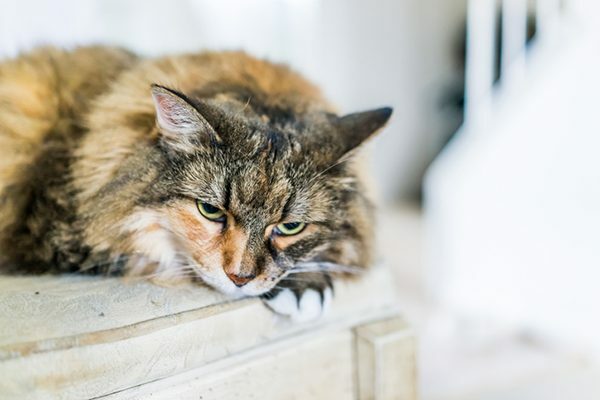 Look for items that give your senior cat firm, steady footing — that won’t rock or move when she jumps up or down from another level. Don’t worry: If your senior cat’s favorite spot is no longer easily accessible, introduce her to a new one. Dr. Levine, who is board certified in the area of animal behavior, recommends putting your cat’s favorite bed in a warm spot free of drafts, where she can feel safe and comfortable. Be concerned: While most cats love curling up in warm spots, make sure your cat doesn’t become overheated. 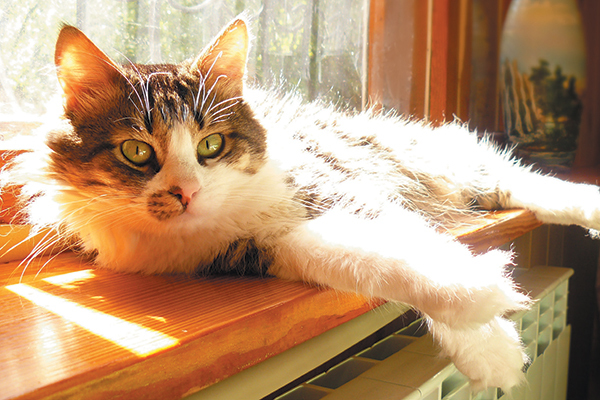 It may be tempting to put a heating pad in her bed, but too much heat can burn your cat. 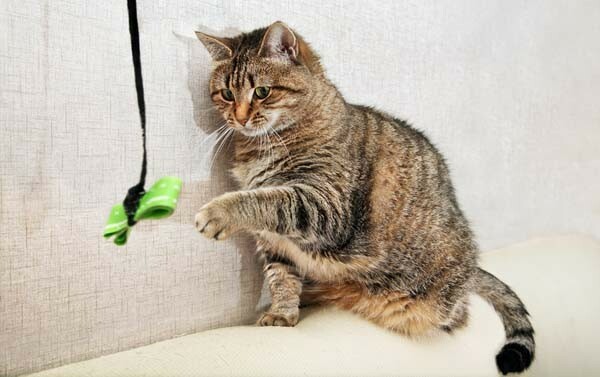 Playtime keeps your cat healthy. Photography by Onishchenko Natalya / Shutterstock. As your cat ages, she will likely want to spend more time curling up in a warm spot to sleep. 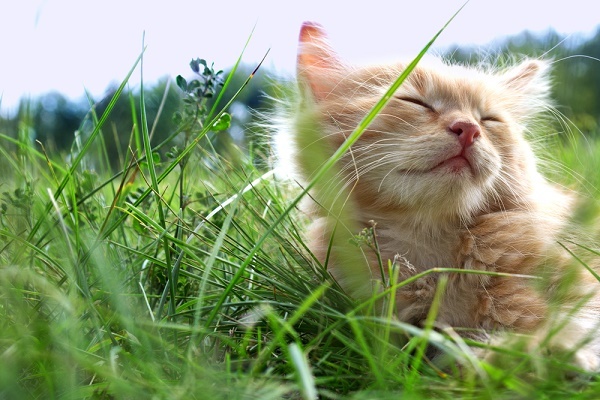 It’s natural for her playful behavior to lessen and mellow, but regular playtime still helps keep her healthy. Look for gentle ways to encourage her to play, such as waving a wand toy or placing pieces of her dry food for her to “hunt” and eat. Don’t worry: Older cats sometimes prefer to be left alone for longer periods of time — and that’s OK. The idea is to gently encourage regular activity for continued good health, which will also help maintain the bond you share with her. Be concerned: You may be tempted to adopt a kitten or young cat to help your senior cat return to her kittenish ways. Dr. Levine recommends against this course of action. “A rambunctious kitten climbing all over your cat may be more detrimental than helpful,” she says. “And people have a tendency to focus on the young cat and ignore the older one. 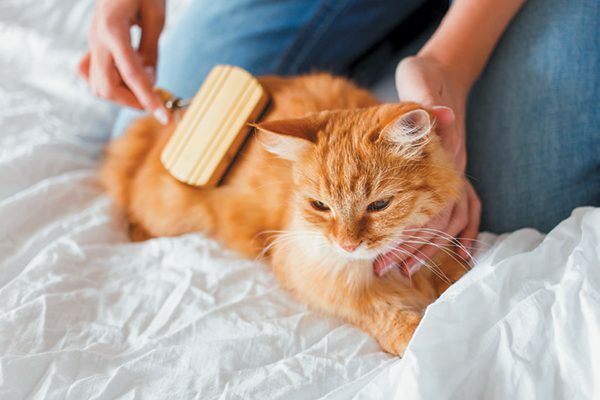 Senior cats need special help grooming. Photography by ©Aksenovko | Getty Images. Help your senior groom herself, especially in difficult to reach areas. Add night-lights in dark hallways for older cats with poor vision. Moving furniture around can confuse your older cat. Photography by Eugene03/Thinkstock. Avoid rearranging furniture or creating new obstacles in homes where the senior cats are blind or have failing vision. Approach a cat who is deaf or losing her hearing from the front to avoid startling her. What your senior cat eats is important. Photography ©krblokhin | iStock / Getty Images Plus. Finally, continue to offer your cat the basic provisions you always have. Fresh water and nutritious food become even more important as a cat enters her senior years. If chewing becomes more difficult for your senior, switch her to a canned diet or mix canned in with her kibble. Thumbnail: Photography ©MaraniVideo| Getty Images. A lifelong cat owner, Stacy N. Hackett writes frequently about cats, cat breeds and a range of pet-related topics. The inspiration for her writing comes from her cats, Jack and Katie, and her Cocker Spaniel/Labrador Retriever mix, Maggie. Senior Cat Food Issues: My Cat Won’t Eat, Is She Suffering? My kitten, Sabrina just turned 20 on August 11! She’s a “cat’s cat”, long black hair, and a Leo.